Iconic Aussie actor Paul Hogan could go from throwing shrimps on the barbie to throwing out the ceremonial first pitch at Major League Baseball’s Sydney series. It’s been 28 years since Crocodile Dundee smashed the US box office, becoming the second highest grossing film in 1986, and apparently the Yanks still haven’t gotten over it. According to online bookmaker Sportsbet, Hogan - who portrayed Mick Dundee in the film - is still the personality Americans associate Australia with most. 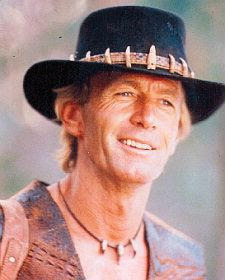 “Americans probably still associate Australia with Crocodile Dundee so we have made Paul Hogan the favourite to throw the first pitch,” said Sportsbet’s Shaun Anderson. 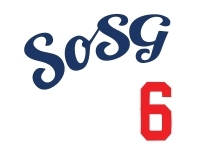 Sportsbet have created several other novelty bets around the games in Sydney, including will there be a bench clearing brawl ($1.08 no, $6.00 yes) and will there be a home run hit out of the SCG ($1.01 no, $18 yes). What about Cate Blanchett? Nicole Kidman? Geoffrey Rush? Hugh Jackman? Naomi Watts? Or they could annoy Australians no end ("Aus/NZ same thing, right?") and have Frodo throw out the first pitch. @FB...I loved Steve Irwin too. But with the choices we've been given here I have to go with Hugh Jackman. I can't believe that Croc Dundee is thought to be favored here over the talented, tall, fine looking example of a man...oh my it seems I've gone off subject a bit here. Anyway, I'll go with Hugh. Is it hot in here?? I'm going with Steve Irwin's corpse. Which was also the name of the Flaming Menudos' spinoff polka band that sounded like such a good idea at the time. Get Yer Dodger Stadium Enhancements Here! Beautiful Day In Sydney Today! Who's Got the Schweddiest Nuts? How Do You Really Feel About Spring Training?